My love of Anne Brontë, and desire to see her achieve the recognition her brilliant talents deserved, were the motivation for my biography – In Search Of Anne Brontë. As a huge fan of Anne Brontë and her sisters, I love not only to read their books but also to read about their lives. The series of biographies by Winifred Gérin have always been a particular delight to me, but her biography of Anne is now over half a century old. That’s why I felt it was time for a fresh look at Anne’s life – and why I wrote the biography which is published in the UK by The History Press. I created this biography for one reason only – it’s been a labour of love. The research process took two years, but they were full of delight as I travelled to Thornton, York, London, Scarborough and of course Haworth, travelling in Anne’s footsteps. I got to hold poems and letters written by Anne, and grew even more in awe of the courageous and brilliant writer we all love so much. What was he true nature of the relationship between Anne and Charlotte Brontë? Did Anne Brontë really love William Weightman, and were her feelings reciprocated? What did Anne Brontë look like and sound like? Was Anne really as shy as she is made out to be? What were the driving forces behind her writing? Why did Charlotte Brontë suppress ‘The Tenant Of Wildfell Hall’? Was Anne Brontë responsible for the deaths of her brother Branwell and sister Emily? It’s also full of some wonderful illustrations, and I have to give especial thanks to the Brontë Society for allowing me to use so many of their treasures, and to the wonderful artist Amanda White, and the fantastic photographer Dave Zdanowicz. You can buy In Search Of Anne Brontë right now on Amazon, and in good bookshops. If your local store doesn’t have it in, just ask them to order it. 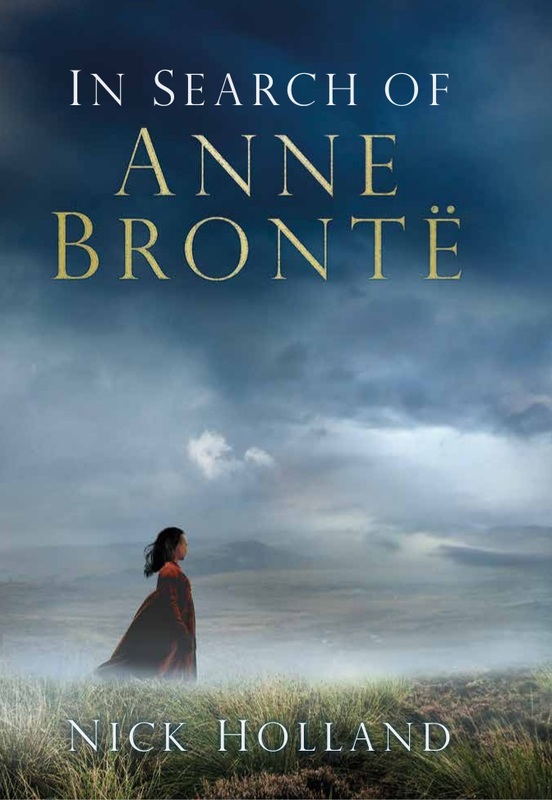 And for Anne Brontë fans in the United States, it is available via Amazon.com. It can be bought in hardback, which I have to say looks great (thanks to The History Press) and on Kindle, and a paperback edition is being launched in May. I’m especially pleased that it is available in the bookshop of the Brontë Parsonage Museum, that building I love so much and which was home to those three sisters full of genius but short of time. I did a book signing there in 2016, which was of course a dream come true. Don’t worry, I won’t be using this website to relentlessly plug In Search Of Anne Brontë, but I’m bursting with happiness at the book so I had to let you all know. 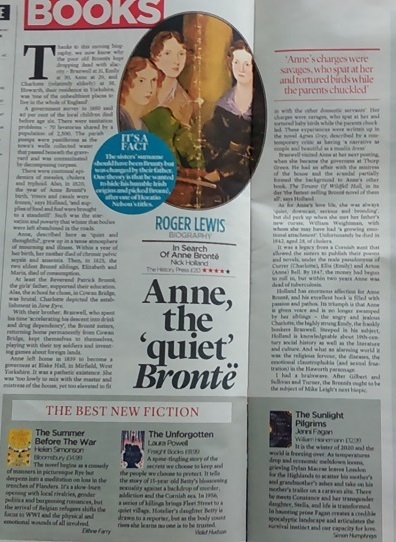 Above all, of course, I hope you enjoy reading it, and that it allows you to find out a little more about the wonderful Anne Brontë. I’ve also been contracted to write books about Emily Brontë’s life and poetry, and about the Brontë’s aunt Elizabeth Branwell – further details will be given on this site.